I keep the root vegetables, turnips pictured, away from the lettuce during harvest to keep the lettuce clean. I harvest leaf lettuce right into my salad spinner basket for quick and easy washing. Did you know that there are ‘cool vegetables’? They are veggies that appreciate and thrive in cool-to-cold weather just like Cool Flowers. You can apply the same growing concepts found in my book about growing cool-season flowers to these cool-season veggies. 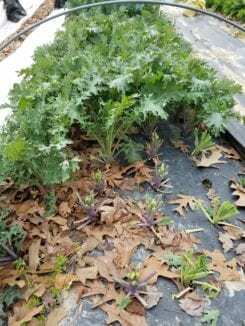 (Those marked with the asterisk * even winter over to harvest during winter in my Zone 7 garden under low tunnel hoops and lightweight row cover.) View all cool season seeds. 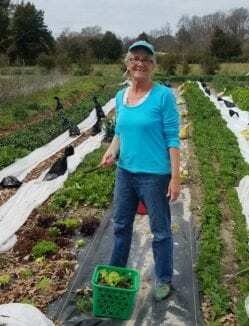 Susan, a friend of our garden, loves coming to harvest our vegetables for us when our flower farming consumes our every minute! This group of veggies tends to thrive in the cool crisp days of fall, early winter and in early spring. Mid-summer, fall and very early spring are the times to plant seeds and / or transplants. When to plant depends on how long it takes the plant to mature to a harvestable size. As example, broccoli should be started from seed 12-14 weeks before your first frost in fall to allow it to mature before winter conditions start. While leaf lettuce only needs 4 weeks to reach a harvestable size. Seed packets or plant tags should provide this information. Beautiful and tasty leaf lettuce. A quick grower and the more you harvest the more it grows! 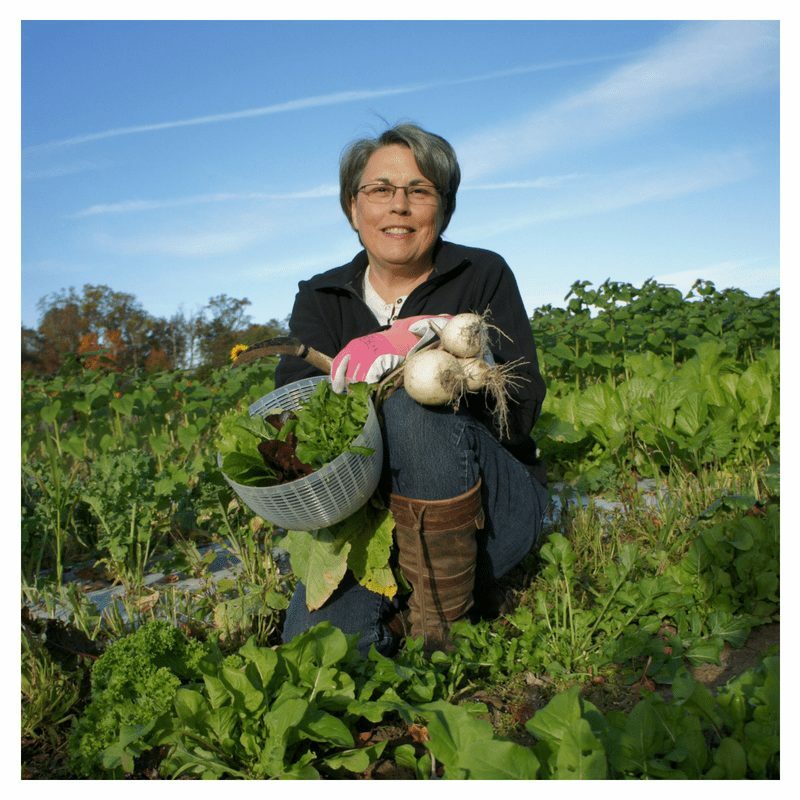 I find growing a fall salad garden is easy, quick, and is a great way to get started with ‘cool vegetables’. Leaf lettuce, spinach, and radishes can all have their seeds planted directly in the garden and will sprout quickly in the warm days and cool nights of fall. Watering the bed everyday during sprouting will speed up the getting started process. Red Russian Kale cut clean to only regrow in just a few short weeks. I gather all the leaves of one plant in my hand and one cut with the sod cutter and it’s done. 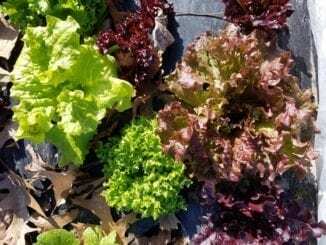 I grow both leaf lettuce and head lettuce– however leaf lettuce is the quickest and most productive. Once the leaves are 3 inches or so, start harvesting. Just like flowers, the more you cut, the more will come. Holding the tops of the leaves, cut the entire plant at just above ground level with a sod cutter or clipper makes for easy harvesting. I do my best to keep the leaves clean during harvest which makes washing easier. The plants will regrow fairly quickly when happy. My little lettuce patch is only 3 feet long with 4 rows of lettuce and it produces a ton. I harvest one row a week so the rows are all in different stages of regrowth. Spinach can be treated much the same although not as quick at regrowth but it does regrow. We love the French Breakfast Radishes. 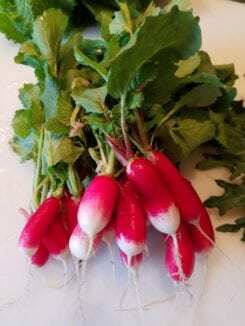 Radishes are quick growers too. Plant a few seeds each week up until 3-4 weeks before first frost. Pull from the garden what you need for a weekly harvest and radishes tend to hold well in the refrigerator. Cool-season vegetables suffer from the same affliction as cool-season flowers: because of their awkward planting times most gardeners just skip over them. Once on the calendar to plant at the proper time they just may become some of your favorites homegrown vegetables!